Look no further for professional, reliable and great value corporate Christmas party coach hire with Sunstate’s modern fleet. 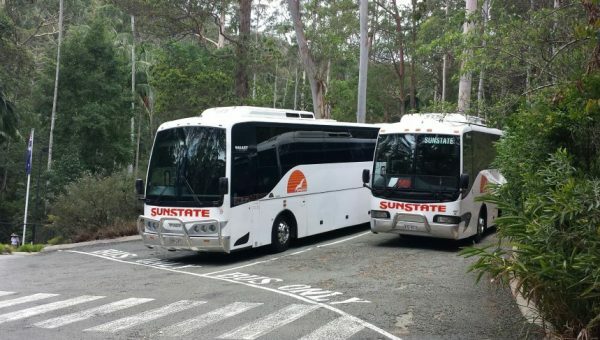 Sunstate Coaches specialise in private coach charters across South East Queensland and are the perfect party for providing Christmas party transfers for your staff, clients or suppliers ranging from 10 to 1000 guests. Request a free quote now and don’t forget to book early to avoid disappointment. Christmas parties are a time to unwind and relax. If it is your turn this year to organise the office party, organising private bus transfers with Sunstate Coaches provides you convenience and peace of mind. No matter the venue for this year’s Christmas we can get you there on time. 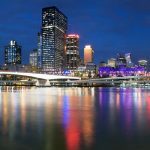 We have a wide number of modern 5-star rated vehicles in our fleet that are available across Brisbane, the Gold Coast and Sunshine Coast. If you need corporate Christmas party coach hire, for a small group, we recommend our minibuses. 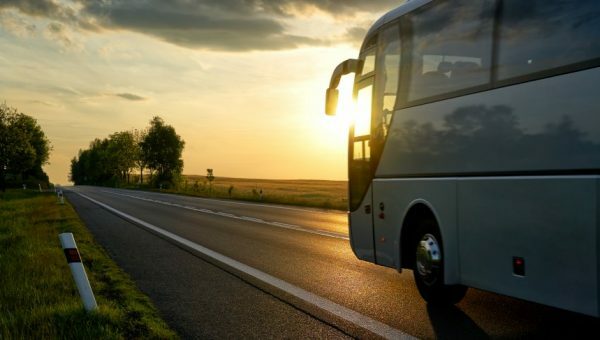 The Sunstate Coaches fleet also includes air-conditioned, modern coaches with a seating capacity up to 61 guests. Not to mention we can comfortably accommodate group sizes from 10 people up to 1000 passengers. Request a quote today and we will help determine the ideal number of buses for your corporate christmas function. No matter the venue or distance, you will arrive safely and within the shortest time possible. 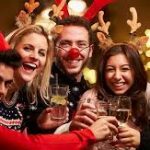 We also work with your event organiser or social committee to confirm the best (and safest) pick up and drop off locations in relation to your Christmas party venue. You also have the added option to customise your transfers with additional stops along the way, should this be required. 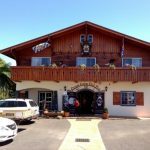 One of the main reasons we continue to get 5 star reviews from clients can be attributed to the professionalism of our drivers and office personnel. 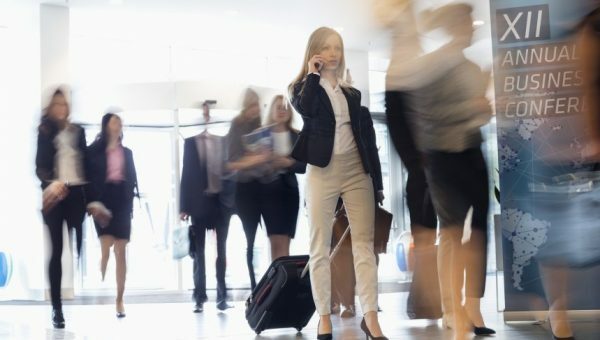 Punctuality is what we promise when we pick our guests from the office or designated pick up location. All our clients are family to us; thus the treatment is friendly and genuine. 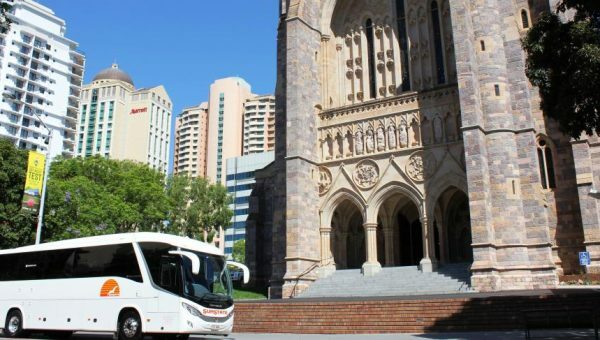 This combination of professional, courteous drivers, modern coaches, and neighbourly treatment, has gained us an enviable reputation across South East Queensland. 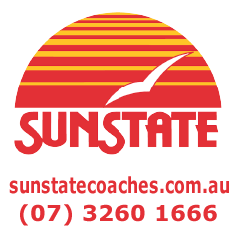 Book with Sunstate Coaches, the best provider of corporate Christmas Party Coach Hire services. Contact us by phone, or request a quote online here.